Here we are, at the end of January, and it is time to get inspired with the seedling projects of others. Where is your sunny window? What wood plank system can you devise to hold the potted seeds up to the light? If you are new to seed propagation, start small. Plant 2 to 3 each of your favorite herbs, like thyme and rosemary; and easy-to-grow vegetables, like lettuce and chives. Cherry tomatoes are a wonderful experience for a first timer! Watch the fruit grow from the flowers, it is truly amazing! 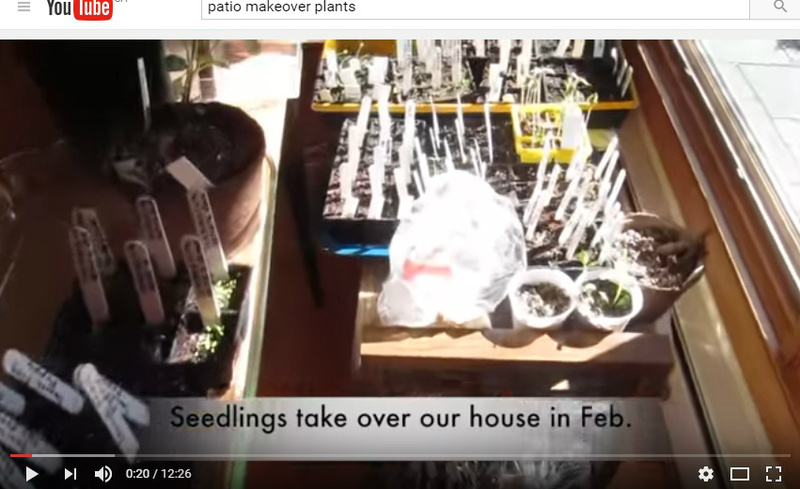 If you want to experiment with propagating plants from the seeds of all vegetables and fruits that you would want to grow for future survival purposes, then get started! Label your pots and get ready to give away to neighbors, friends, and family if you do not currently have the space for the mature plants. Something new: You may want to consider renting space in a community garden so as to learn the growing process from transplanting the seedlings right up to harvest time! 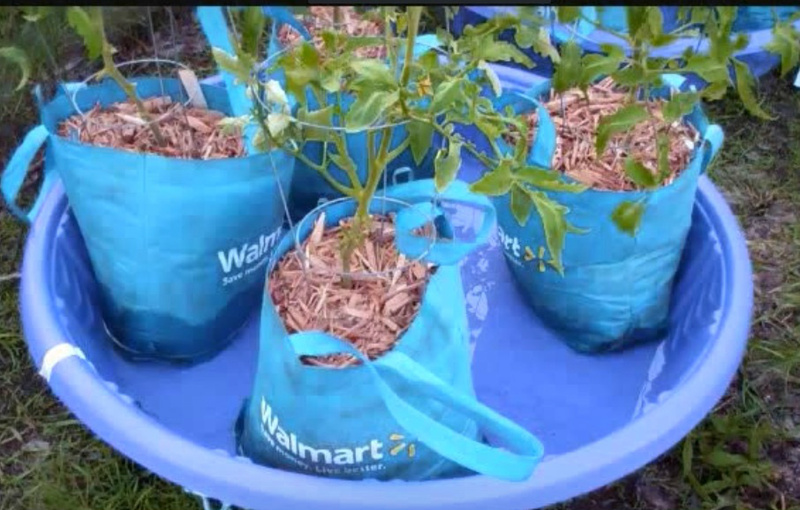 Air pruning uses growing cloth (or in this case, re-usable cloth bags, such as the Walmart bags pictured) as pots. The advantage for rooting is that once roots hit the air at the sides of the bag, the ends will die off (self prune) and secondary rooting will sprout all along the root, from the stem outwards. This creates healthier root systems, and results in larger plants. Say goodbye to those white roots which wrap around pots (get the plant root-bound) and eventually choke the plant to death. The photo above shows the cloth "pots" placed inside a kiddie pool for watering purposes. Not all plants require watering from the bottom upwards: do some research and know your plants. Plant roots and soil will dry out more in these cloth bags, so you will have to monitor soil moisture and water accordingly. Once your seedlings are outdoors, consider a digital (timer) watering system (battery operated) so that you can carry on with your other daily duties. We are still in the planning and learning stage, so make growing seedlings and plants as easy as possible for yourself. A watering system set to a timer will let you leave this summer for your family vacation to Brittany -- Quelle bonne idée! This hanging planter from Ikea is called the Bittergurka. Each retails for less than $20.